LED headlights worth the hype? Home / Blog / LED headlights worth the hype? 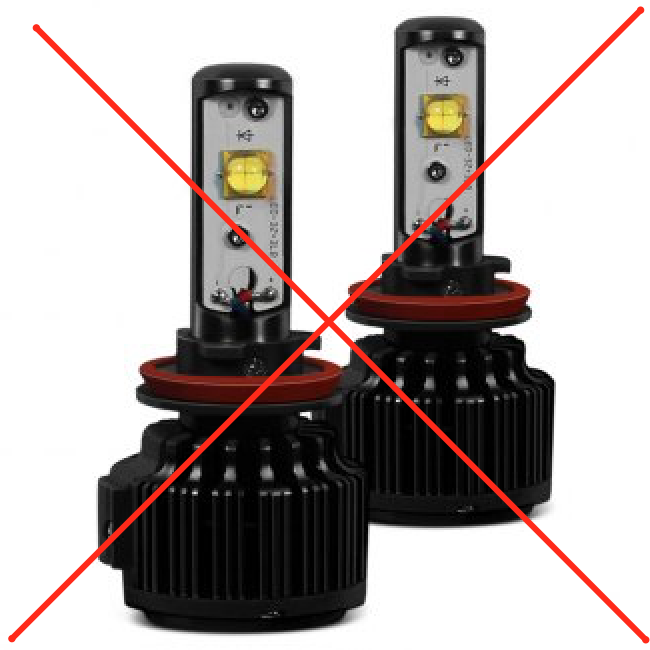 Most led and hid sellers are apparently switching to the new “high output” “15000 and 18000” lumens for headlight applications. Everybody likes the idea of making progress and coming up with new products that would provide a better response, that will open up to the next best thing. The truth is that they are hard to fit, expensive, and worthless on projector or reflector headlights. We have tested all types of these led brands on reflector headlights and they produce so much glare and look so bright but won’t give any usable light beyond a few yards of distance. When installed on projector headlights is simply just as bad with the added inconvenience of the led bulb “blocking” the light reflected inside the projectors. We want to tell these sellers to think of exactly why they got into the lighting biz in the first place. Then ask if they are providing a product that the customer will really be satisfied with instead of misguiding them leaving them confused and with the only hope of going back to halogens. Our opinion is that these led headlights will not make it far and that we hope they go out of market soon when enough people realize what they bought was a bright illusion. Our message to our customers is that we will never give up who we are and we will always do our very best to help make an educated decision.